My wife’s childhood or to be precise: What I actually know of it. 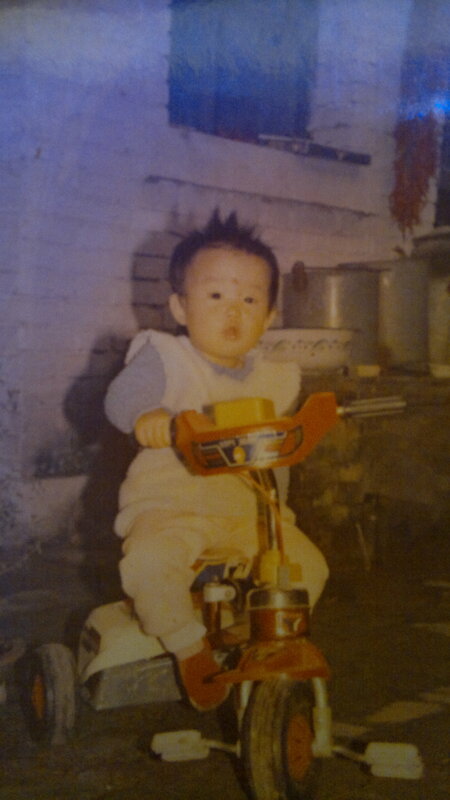 Roughly 27 years ago my wife was born in the small town known as Xi’an. I write small because this is how my wife described it to me when we started dating over 4 years ago. Back in the day her mother was still a model and her father a taxi driver. Now my lovely mother-in-law is retired so she can go shopping whenever she wants and sleep as much as she wants. Father-in-law is still driving but not a taxi anymore, no, he drives government officials whenever they need to visit some interesting place. Because of this he has a lot of free time in the office and uses it daily for table tennis practice. He actually plays very well, as he managed to win several time the city political bureau championships. Due to her fathers love for this sport she played in her early years some table tennis until her mother got scared that she wouldn’t manage school well enough anymore and got her out of the training sessions. However because her mother had sometimes some hopes that her daughter could also do some modeling work she got her daughter into ballet to improve her posture. This was also canceled relatively quick by her mother due to before mentioned issue and she also gave up on her daughter ever becoming a model. How long she begged for this tricycle? According to my wife her father was the generous person and her mother the demon who forced her into all the school work and extra study activities. Because of this they still have sometimes few heavy arguments which are pretty amazing for me because of mother-in-laws impressive ability to form reality/ truth according to how she sees it. For example my wife told me that she had to beg her mother for a very long time until she was willing to purchase a computer (my wife told her that she needs it for studies but actually she used it mostly to hang around forums and play games). MIL remembers it completely different, according to her she was feeling at some point so generous and surprised her daughter with a computer so she could do her studies better! As you can see, quite a different view towards the past. This blog wouldn’t be called “My Crazy Chinese Family” with just so few weird stories, so I give you some more craziness. As said before, MIL is fairly good in bending the truth to her wishes, accidents never occurred, she never did anything wrong and besides, her daughter managed everything only due to her generosity. To be fair, she is mighty proud of her daughter but still it is sometimes creepy how she sees the world. Few years back we were looking through my wife’s childhood pictures and there was one particular photo of three children sitting on a sofa. MIL looked at it and said she wouldn’t know who those children are but then my wife said that she is one of them resulting that her mother looked at it again without result, she was NOT able to point out her own daughter – Mother of the year! Her school life had its ups and downs until she graduated. Due to some miracle she was able to convince her mother for a very special thing: Not to do the High Exam in the last year of high school because she had other plans. Instead of doing that exam she studied English, a lot of it to do the IELTS Exam to study in a foreign country. Through this she ended up in Finland and few years later we met, but this is again another story for another time. 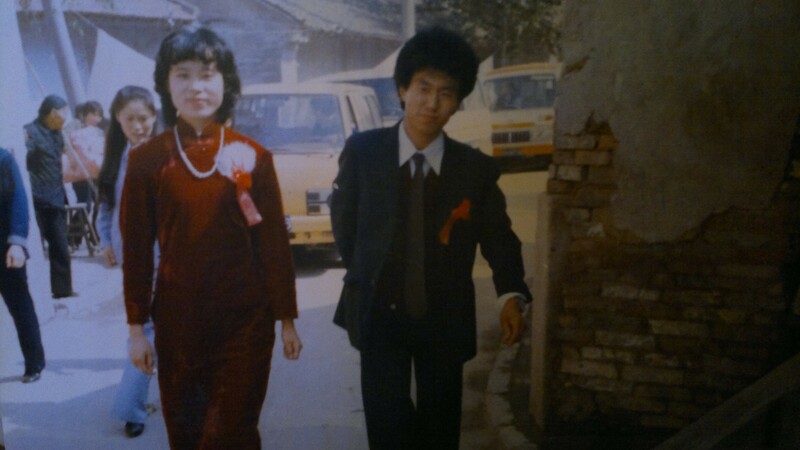 I believe it can be said that my wife had a pretty average Chinese city childhood. Days filled with a lot of studies, strict mother, less strict father and nothing really out of the ordinary. Of course there is al lot more to her childhood however I do not remember all the details of other stories she told to write about it. It is actually really amazing what I know of her childhood as it is nearly as much as I remember of my own (I don’t even remember my school time anymore besides that I was not really fond of it and much more!). Sometimes, it feels like you’re making up stories about your MIL XD , hard to believe it is actually all real! It’s always entertaining though, hehe. As I was reading this post, I remembered an unusual connection. In the early 1990s we lived in Vanuatu, a small country in the South Pacific. While there, we became friends with the Chinese ambassador to Vanuatu, Amb. Du. Previously he was the Chinese ambassador to Finland. I think later his son took over the post. I understand that Amb. Du was fluent in Finnish. It’s a difficult language, isn’t it? It is pretty interesting who you all might meet during your life. Wow! Finnish really is difficult. So many ways to say dog!!!! Interesting insight into your wife’s childhood. She sounds like she knows what she wants and not afraid to show it, even back then when MIL tried to steer her towards a particular direction. I suppose Father-in-Law liked to stay in the background most of the time and watch the ladies fight it out, he must have found it very entertaining. “…sometimes creepy how she sees the world”. Love this phrase. Sometimes I think that of my mum too, so you’re not alone. For example, my mum thinks that we will all live happy lives if we follow the same routine every day, doing the same things at each hour every day. My own mother is also a special case and drives me at times crazy with her opinions (always criticizing how I do things). 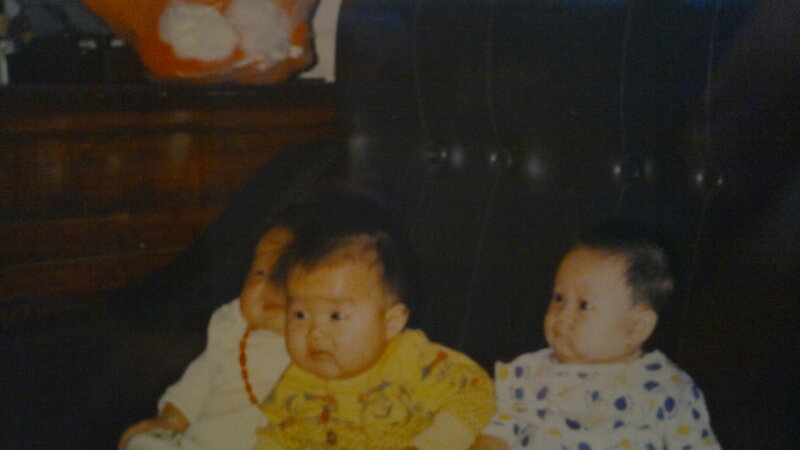 Hahaha old pictures are always so much fun… BTW, any ideas on why Chinese babies are always so fat?? 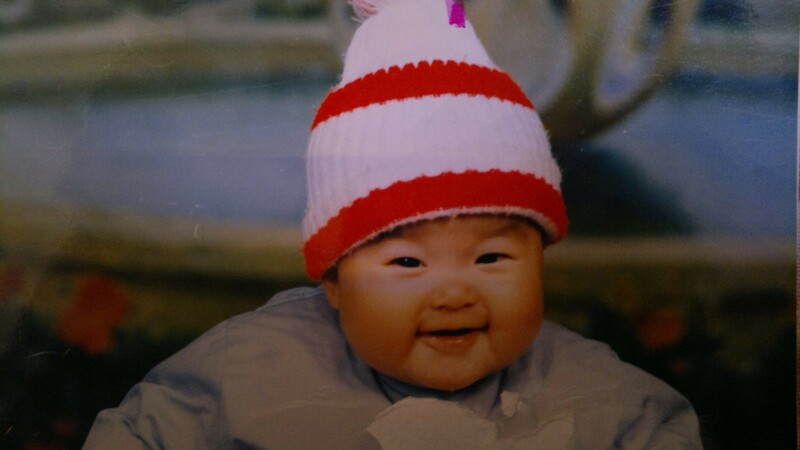 Chinese people think that fat babies mean that the baby is healthy and strong, so as a result usually end up overfeeding the baby infant formula/rice gruel/other carb-heavy food. However, medically speaking it is NOT healthy to over-feed babies particularly carbohydrate heavy meals found in processed food like formula. Although formula isn’t bad (and certainly better than cow milk or rice gruel), it has alot of “empty calories” whereas breast milk is nutrition dense making it more “calorie efficient.” The problem with carb-loading is that it increases your glycemic index in your blood and causes lots of insulin spikes. Too much insulin over a period of time will eventually cause insulin resistance (i.e. no longer sensitive to insulin’s effects), and that is how type II diabetes develops. When you overfeed an infant, you are drastically increasing their later-in-life risk of diabetes. PLEASE BREAST FEED your baby if you can, even one month is better than nothing. Usually I don’t comment on blogs but as a physician, I feel that I HAVE to speak out/educate whenever I can. I’ve seen too many unhealthy child-rearing practices in China done out of ignorance. This is very interesting. For some reason breastfeeding is something special in China (what I heard and what information I could gather) because not all Chinese women produce enough milk, so they believe all these weird soups would help. However all Chinese we know who used these soups had not enough milk for their baby and had to use formula. But as soon as they stoped these soups their milk production increases and some could stop using formula -> I guess there is some kind of connection their, perhaps a certain kind of soup might obstruct the whole process. Anyway, here in Finland we learned that over 95% of the women should have enough milk for their infants, the rest has mostly psychologial or genetic reasons. Once she tried the soup for a couple of days and got a breast infection the following night because everything got clogged. The doctors opinion was that the soups were too oily. This is (nearly) all I know about the topic. Great story with a few crazy stories in between. I’m pretty sure my husband would not allow me to show his childhood photos to anyone though! I always had a good laugh whenever I’m reading your Blog, its like you’re just in front of your readers and you’re telling all these stories like a pro. Kidding aside, this is a wonderful piece for your wife’s childhood. Did she read it? What was her reaction? This is also why I wrote the second part of our holidays in Finland from my sons perspective as just writing down what we had done in Helsinki was soooo boring for myself and without doubt also for the readers. My wife never read the blog post I think but I told her what I was going to write and got some info about it such as studying for this English exam rather than studying for University application in China.